This week it was that time of year again when the ladies of Oz grab their finery and fascinators and sashay off to a fancy lunch for some horse race or other. These days the Melbourne Cup lunch is the fanciest event I attend all year, so I decided a new dress was in order. Enter the Amare Dress by Naughty Bobbin Patterns! I have made this dress before (back when Naughty Bobbin Patterns was Savage Coco Patterns) and I wore it to a Melbourne Cup lunch, but it's such a lovely pattern that it was my first choice for this year's do. The dress has a closely-fitting wrap style bodice and a tea length circle skirt. I had bought two metres of this floral fabric for $20 in a local designer's closing down sale. It was apparently Italian in origin and I loved the print and drape, which I thought was perfect for this dress. The problem was (gasp) that two metres wasn't really enough fabric. After playing around with the pattern pieces I decided that I could make it work by cutting the dress from the opened-out fabric, rather than on the fold, and by slashing and squeezing the skirt pattern piece just enough to get it to fit. This involved making several evenly spaced cut lines fanning out from the waist to the hem and overlapping them just a bit at the hemline to bring in the hem without affecting the waist size. I also made a couple of minor fitting adjustments to the bodice based on my last version. The resulting skirt was less than completely circular but it's not noticeable. As a result of this encounter I bundled the pattern and fabric into a ball and went back to the drawing board. I then spent countless hours looking through my patterns, pinterest and the Burdastyle website. Nothing appealed to me. After a couple of weeks of this I bravely decided to ignore my sister and continue with my original plan. My inner serenity began to return as I smoothed out my fabric and pressed the pedal to sew those first few stitches. Then, as I tried on the almost finished dress, I knew I'd made the right decision. Hooray for following your heart and ignoring bossy sisters! *She knows I love her really! As is customary for race attire, a hat or fascinator was in order. I decided upon the latter and set to work making a fabric peony with some scraps from the dress and other remnants that seemed to coordinate. I used a tutorial I found online with a free pattern that I used without adjusting the size. 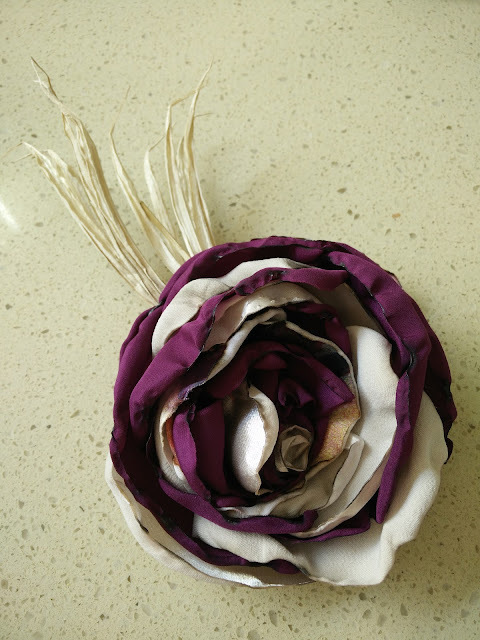 I added a couple of dried flower things from an arrangement in my lounge room, sewed on a hair clip and that was done. 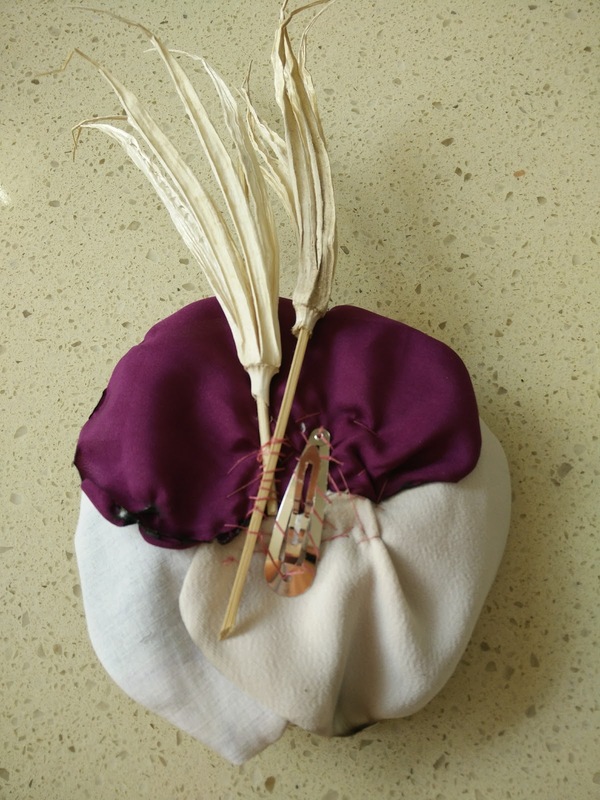 It turned out rather well I thought and a nice size for a fascinator. Also, while on the subject of accessories, I made a matching Harriet Bra! Well, why not? So, after my false start with the dress, I was off and racing to my lunch. It was lovely spending time with some great friends in a beautiful location and much fun was had admiring everyone's outfits. My dress got many compliments and the overwhelming verdict was that I was right and my sister was wrong. Ha! Oh my giddy aunt, I'm so glad you ignored BS (bossy sister) and went back to your original plan. You look gorgeous and I'm so impressed with the fascinator. Glad you enjoyed the cup, I was hiding in the bush! I love your dress and good for you that you ignored your sister. And I am very impressed with your flower making skills. So good you have ignored your sister's advice! As always, you have chosen such a lovely print. Your fascinator has just the right size and goes very well with the dress. I love the matching Harriet bra! Yes, you were right and sis was wrong. Tea length is so elegant and looks fabulous on a tall lady like you. My only bugbear is that you went to a designer remnant sale, and there was a floral with purple tones, and I wasn’t there! But pleased I’m not the only one on earth who just buys a couple of metres with no idea what to do with it, then has to make the pattern fit. Nicely done, as always. We all agree, fabulous. Great style for you and perfect for the fabric. 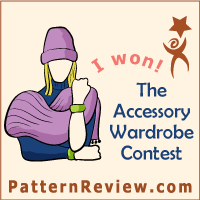 You look beautiful - such an elegant dress and I really love the matching fascinator and bra! It has taken me a long time (like years!) to appreciate this length of skirt so I get where your sister is coming from, but now I love the look. we provide service regarding router support. if you have face any problem related to the router so please contact our team. Gorgeous dress! What do bossy sisters know anyway? Very impressed with the matching bra and fascinator too. So glad you stuck with your original plan. I very much like your pattern it's beautiful dress,thank for sharing good i dea ! The dress is very good for a good day and the dress she put on looks great.